This black bike bag provides a convenient way to store and transport your folded-up folding bike. It is made from an Oxford fabric with a PVC coating, and includes an adjustable strap that allows the user to carry it over the shoulder. The bag’s zipper allows the bag to be easily opened and closed. 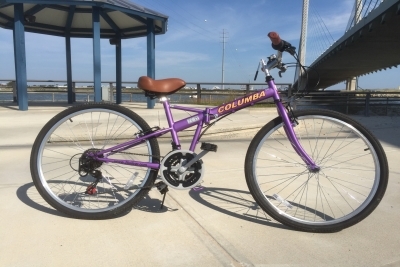 This bag is designed to fit Columba folding bikes with 26-inch or 700C wheels. The bikes we offer that fit this specification are the RJ26A, SP26S, and RB28S. Our customers often buy our high-quality bags for different brands of folding bikes. 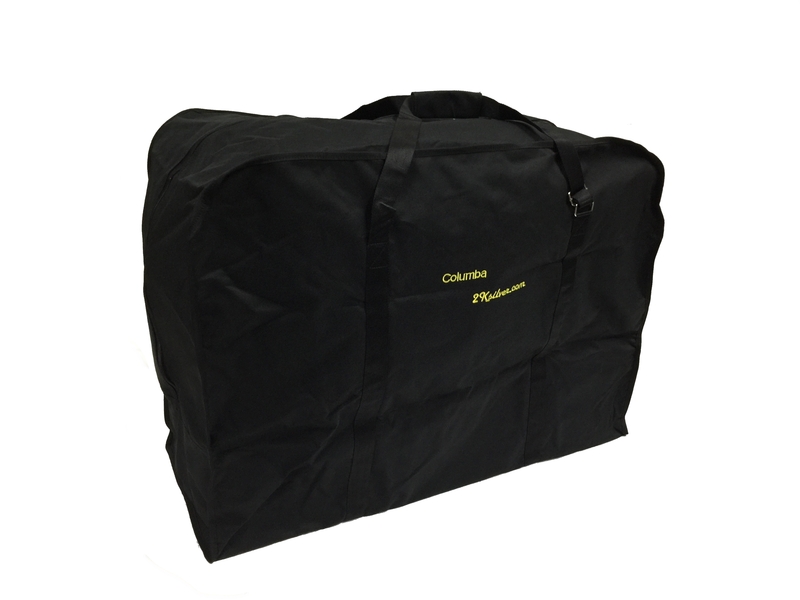 If you are purchasing a bag for a non Columba folding bike, before making your purchase, please measure the dimensions of your folding bike, then check against this bag's dimension to make sure the bag can accommodate your bike. This bag’s dimensions are L38"xW14"xH29". We can ship this item to Canada.